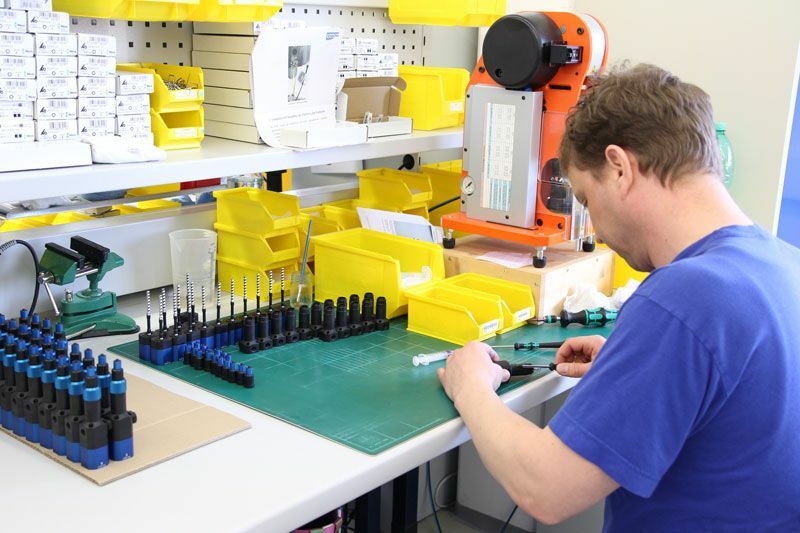 With its systems and know-how resulting from 10 years’ experience in microdispensing, preeflow offers the ideal solution when it comes to highly accurate results and specific customer demands. On the 1st of march, they celebrated the 10-year anniversary of preeflow with a huge party including a food truck, a wheel of fortune with numerous prices for the employees and lots of memories of the last 10 years of microdispensing. The precision dosing pumps under the label preeflow have become a global champion in volumetric dosing systems and are now the driving force of ViscoTec Pumpen- u. Dosiertechnik GmbH. “Small, precise, economical” – downsizing is the new trend in dosing technology. Here comes the challenge: Also dispensing is supposed to be more economical and more precise. These demands mainly originate from medical technology, aerospace, electronics, photovoltaics, and the automotive industry. 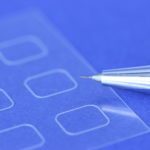 In these industries, highly precise microdispensing of fluids with different viscosities such as adhesives and solder pastes gain in importance. 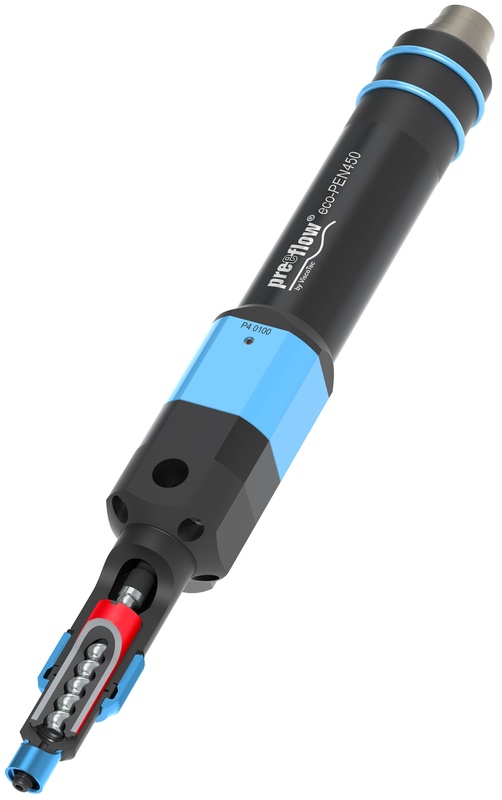 The eco-PEN of preeflow offers a wide spectrum with the dosing of viscous, structure sensitive and solids-laden fluids and serves this with outstanding quality and in minute quantities. The performance data of a dosing process do not only depend from the technology but also from the design of the dispenser or the extend of the quality inspection during construction and prior to shipment. 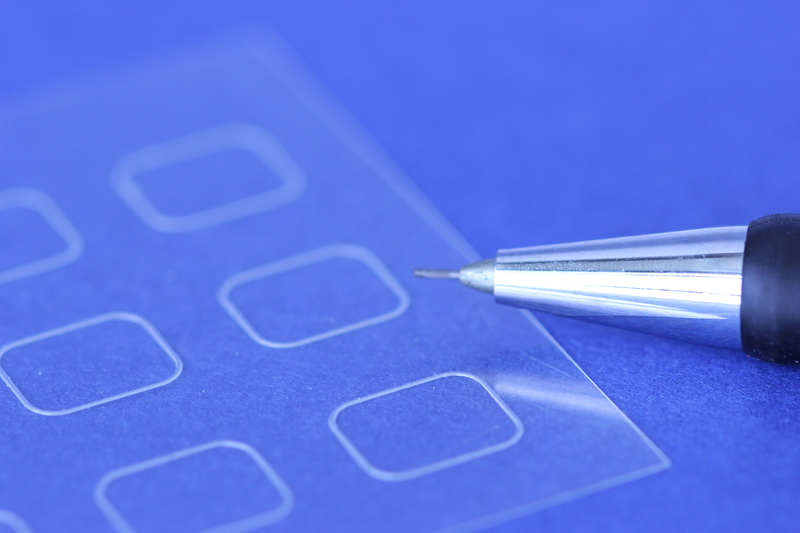 Microdispensing technology in perfection: Highly accurate dispensing reflects our high-quality standards. All preeflow components meet highest quality standards. The volumetric dosing accuracy of ±1 % as well as the repeatability of 99 % result, on the one hand, from an exact manufacturing of the components. On the other hand, the high quality of the products can only be achieved by strict and high internal quality requirements on every element and every system. For automated processes with consistent quality and process reliability. One of the most important core competencies of ViscoTec and therefore also of preeflow is the highly developed production of rotor and stator. Even raw materials are tested for highest quality and elastomer elements, for example, are precisely manufactured down to a few hundredths of a millimeter. Every rotor-stator system underlies a standardized, constant and detailed inspection. Here, ViscoTec is always one step ahead of the market: The monitoring of the stator measurements is done with an instrument using the basic technology of computer tomography. The chamber volume of every rotor-stator system is monitored with standardized tests based on weight and image evaluations. 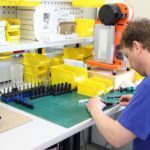 Prior to the shipment to the customer, every system needs to pass a double testing phase. Every component, down to the smallest screw, as well as the complete R&D and production carry the quality label “Made in Germany”. The eco-PEN as well as eco-DUO and eco-SPRAY are as a standard equipped with the VisChem elastomer which is extremely resistant to chemicals. The rubber mixture specifically developed for ViscoTec is characterized by a high resistance against aggressive materials and by a perfect mechanical resilience. All elastomers in the eco-PEN an eco-DUO that are in contact with the product are made from this patented mixture. 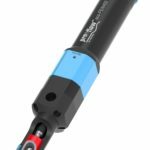 The strict monitoring pays off: Independent analyses show that the preeflow eco-PEN delivers excellent figures compared to a Jet Dispenser or a Time Pressure system. It reaches a process quality index (cp) of 4.26 whereas other systems with a cp-value < 1.33 are not even process capable. This shows that the eco-PEN doses outstanding results with a very narrow distribution of the measurement values. preeflow collaborates worldwide with qualified distributors, with a large portion of these collaborations existing already since the establishment of preeflow in 2008. The business relations are based on long-established mutual support as well as know-how and experience. Due to these thriving partnerships, customers profit from a very high service level: Reliable, competent and high-quality consulting worldwide! The optional 24/7 service & support leads to a high degree of flexibility and security. „Stagnation is regression” – that’s the motto at ViscoTec. Considering the recent state of knowledge of universities, they continuously develop innovations and products especially for the automation of dosing processes.